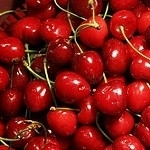 Aroma/Scent: Characteristic of fresh very ripe cherries with a cherry liquour undertone. Smells natural and strong, can easily be mixed with other aromas for a unique aroma. Almond flavor/scent in both a body cream and an oatmeal soap. It has been one of my top selling scent blends. It smells just like cherry. I have a lot of repeat customers that love this scent.